Today I read a blog post that advised writers to keep track of ideas for their writing, things they see or hear in life that may work their way into a story one day. I thought, cool, I do that. Then I realized, except in specific situations, I don’t do that. Here’s why. There is no limit to ideas. That’s it. There’s always another one around the corner. My brain churns out ideas all the time. If I tried to write down even just the interesting things I see that might be useful in a story someday, I’d never write any real stories! This doesn’t mean I never write down story ideas, just that I stopped concerning myself with “oh no, I must write that down or I’ll forget it for a story idea”. I ONLY write down (in an Evernote note) really really really ‘stumbled upon’ interesting things, noting the source as well, in case I need to go back and explore it more. Some of these have become the stubs of projects. Maybe two. Most haven’t, though. Another reason I stopped is because I’m by nature a hoarder, or at least a ‘can’t throw it away because I know I’ll need it one day’ type. My story idea file got nutso large (like my ‘to read’ list — sigh). The likelihood of ever working up the ideas or snippets, or even remembering they are there, is very low. Isn’t that what the Internet is for? Ideas need context to be useful. Square peg and round holes comes to mind as well. So the likelihood of a particular idea some day some time will fit a real project is low. BUT, there are ideas that I grab onto and capture as soon as I can: ideas that relate to the project I’m working on RIGHT NOW. The reason for this is that the usefulness is real, not at some time for some story some day. I write these down. I may not be in a place to connect the idea in the project at this particular point in time. It may fit later in a chapter that I’m not writing yet. It may be an exciting plot idea that would beef up a particular point in the story during revision. It may be something I read in life that resonates with my fictional world to make the fiction feel more realistic. It may be something about a character that I had been unaware of. These ideas have context and function – right now, not in some amorphous future maybe-might-get-around-to-it-one-day project. These ideas help me accomplish a current goal. Where I keep them is in my chapter diary [see Writing techniques I’ve learned in Nano 2014] so they are readily available for consideration, particularly in the first revision pass or if I’m stuck and need a way in to start writing again on this project. If they are ideas that pop into my head presumably from nowhere, rather than from external observation, I definitely capture these. They haven’t come from nowhere at all. They have come from my subconscious mind, which has been working away on a problem or gap or creative direction for the story without me even being aware ol’ subby is doing it. These are diamond ideas. These are precious and must be respected and adored. This is the real author at work. So the next time you find yourself falling into the procrastination trap of collecting story ideas that never get written instead of adding words to a real project, stop yourself and see if changing your attitude, trusting your subconscious, and getting on with writing your characters might not be time better spent. Is it just me? Or do you feel the same? Feel free to leave a comment with your own use of idea collection. It was a relief and deep feeling of happy success to hit the 50k word mark this week. To have the Nano staff give a series of cheers in celebration was fantastic, sure. But I think the best part was realising I have increased my word rate and it didn’t hurt a bit. This needs a bit more explanation. When I first started this writing gig back in the early 2000s seriously, I was writing about 1000 words per session (WPS). That was in around an hour, more or less, depending on how much research I needed to do as well. Since I was writing in a group of four (at first) and we set a per person 1000 WPS quota, we were getting around 4k words per week. Not bad we thought. I’ve since discovered that’s not even close to productive. In last year’s Wrimo I upped the rate to around 1500+ words per session, a bit over of course to meet the 50k for the month (1670 is the daily amount for doing 50k in the month). That was a real increase for me. I felt good. Guess what — this year I upped that again to an avg of 2000 WPS! That’s a 30% increase year on year. One day I even knocked out 4000 words. And it was quite comfortable. I also feel that 2000 WPS is the minimum level I need to write to make this writing thing work. I need to get to those levels regularly when actually writing (as opposed to revising/editing for final publication) if I intend to keep motivated, and to develop two different series, as well as stand alones. And I’ve found out in this Nano I can actually do this. I think it’s just psychological. Once you find out you can do something because you’ve actually done it once, it’s not so unbelievable any more — obviously. It’s nice to realise that I can take this 50k milestone base, work for another 2 weeks or so to create the next 30k, and end up with a complete manuscript before Christmas. If you had pointed this out to me last year I wouldn’t have believed you. Now I do. 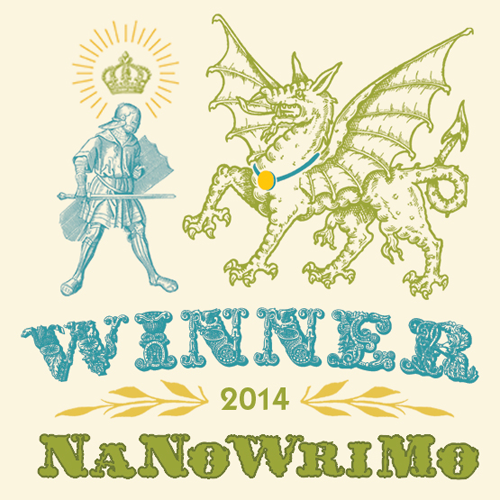 And I thank NanoWrimo for getting me here. As my online friend Connie says: Good Writing! I’ll add – lots of words! It’s been an interesting three weeks, and lots of words written. As of yesterday, the 20th day, I was homing in on the 39,000 word mark and feeling darn good about it. One day I even cranked out five words short of 4000 words. Amazing! But my average has been around 2000/day, which has put me about five days ahead of the target schedule. I’ve also learned some new tricks to “keep” in mind. This has been a big twitter hit, having been retweeted lots of times. It’s saved me trying to find the right place in a rather long manuscript and will also serve to help any restructuring I’ll need to do later. In a separate document called a Chapter Diary, each time I start a new chapter or a new scene, I record the main action in the scene, the characters involved, bits of relevant location, and any questions that arise. Sometimes I’ll bold the words to pop out for my attention when I go back to it later. I’ve pretty much always done this, but in this case, it’s critical. As I’m writing, new people and places associated with them or plot points appear out of nowhere, like the student librarian and ‘geekgirl’ in yesterday’s scene. They may have no place in the story later, but if I’m in search of a possible expansion or need a foil, why not? They get names, if it’s natural for the character to interact with them that way. I have a feeling Nance and Clair will appear again in some fashion. The places and cars things are useful for when they come up again, too. Nothing worse that Aunt Maude driving a tripped up Corvette in one scene then struggling around in her clapped out Cortina later in the book. If your mind is like mine, this set of notes is invaluable. I refer to this list of people and places a lot, especially for last names, spellings, and appearance. Same with places. I’m trying to keep the street references manageable, but I’m still recording them on the list, as well as the locations like buildings and stores that the characters frequent: workplaces, restaurants, etc. Since I’m a pantser, writing without a net, the story emerges as the characters experience it. Sometimes their actions pose questions that will need to be answered at some point to satisfy the reader. They can also lead to interesting story twists. In the case of this story, I’m still not sure whose blood was found in the house that I didn’t know that Shawna was going to find on the cat’s paws. So I left it hanging in the story and wrote myself a note in my Chapter Diary (see above) that this needs to be used somehow. The crime scene folks need to tell the detectives who will need to tell the person whose house was vandalised. 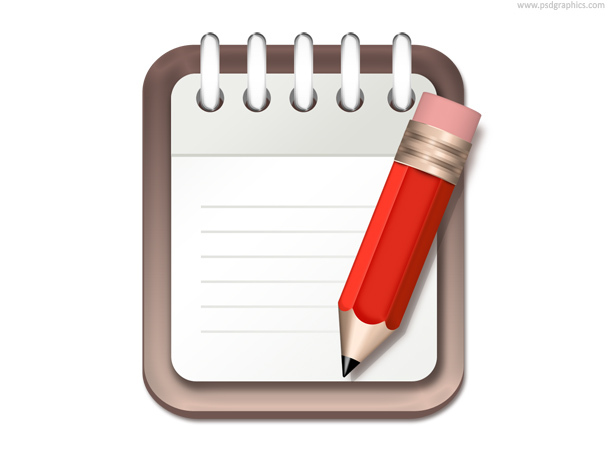 Keep a copy of the Manuscript and Chapter Diary somewhere other than your main drive – e.g. Offsite. Last year I emailed a copy of my work to a friend each time I added to it. This time I’m only saving an extra copy in a cloud storage (and obviously in local backup which I do occasionally). If my computer dies before the end of the month, I’ll be able to retrieve the files and keep going until things are repaired or replaced. I was a bit stuck yesterday, so I incorporated something that I was actually doing at the time – updating my laptop operating system. I could easily put in a real description of the process as if the character was doing the same thing I was, including a bit of frustration. It adds reality to the story and provides something that readers can relate to, making the character more believable. “Write what you know” is often taken to mean “don’t take chances”. I disagree. I think writing is all about taking chances, but being confident enough to convince your reader that you know what you’re talking about. When in doubt: research. Which is what I did when I needed to know what sort of sedative would be given to a patient going hysterical in a hospital setting. I’ve never been hysterical in a hospital or received a sedative, so I had to go find out the answer. It was necessary for the story. So now I know the answer. And now, I must get on with the 2000 words for today. The Finish Line beckons!